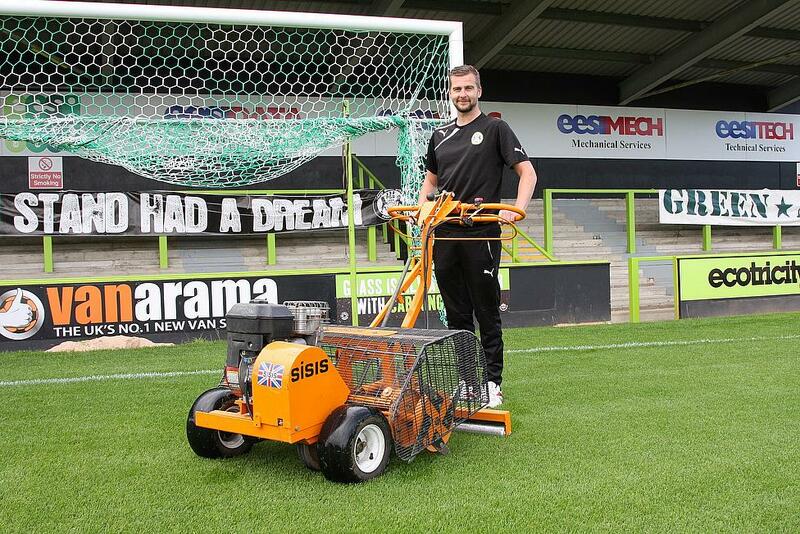 SISIS helps Forest Green Rovers with intense aeration programme. 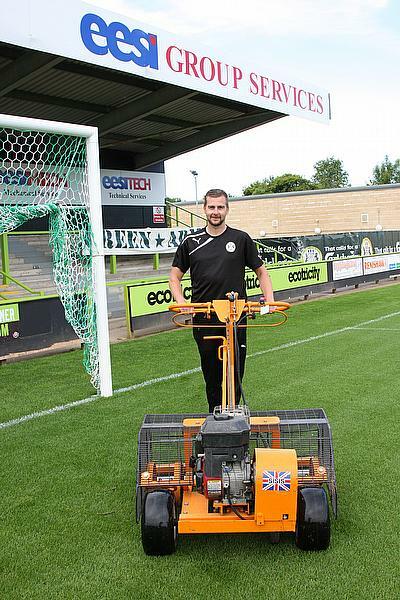 The club boasts the world’s first ever organic football pitch and it is for this reason that the head groundsman, Matt Rainey, and his team focus heavily on soil biology. Products are only selected that are going to feed the soil and the grasses. No high nitrogen feeds are used. However, selecting the products is only half of the battle – to keep up with the rigorous demands of maintaining a perfectly organic pitch, only the best turf maintenance equipment products will suffice. It is for this reason that Matt turned to SISIS. “We obviously have to do a lot of research here for our products and we found that SISIS is a supplier to most of the clubs in the UK. They offer a great service and the back-up service is good. Basically, if you go to a groundsman’s store you’ll see SISIS kit in there,” said Matt. Both the SISIS Autoslit and the SISIS Javelin Aer-Aid 1500 are part of an on-going aeration regime at the club and as if tending to a totally organic pitch wasn’t hard enough work, Matt also has to battle with unfavourable weather conditions. The pedestrian SISIS Autoslit is a powered deep slitter which helps reduce turf compaction and thatch build up, boost the health of a pitch and improve drainage; something which is essential for Matt. “We used to have problems with drainage and a pedestrian aerator weighs a lot less than a tractor mounted one. Again it’s all about the footprint and to keep as much weight off the pitch as possible. In conjunction with the Autoslit, Matt also relies upon the SISIS Javelin Aer-Aid 1500, which is a vertical action air injection aerator. Its air injection tines are specially designed to use the maximum air available from the compressor. It has a wide working width to ensure outstanding turf care whenever you are ready to aerate, something which Matt believes helps keep the pitch in excellent condition. “The SISIS Javelin Aer-Aid does exactly what it says on the tin. We use it to blow air into the top 10mm of the pitch because winter sport pitches get compacted. It dries out the pitch even quicker, eliminates any black layer that sand pitches produce and it essentially gets air to those roots which then in turn produces stronger roots, stronger grass and better drainage. “We use the Aer-Aid about once a month but it really depends on weather conditions. We may use it more depending if we identify a little bit of black layer – then we simply pump the air in. We just change the aeration programme for what the pitch requires and the SISIS equipment really helps.